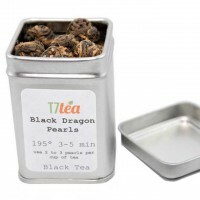 Black Dragon Pearls tea is our No. 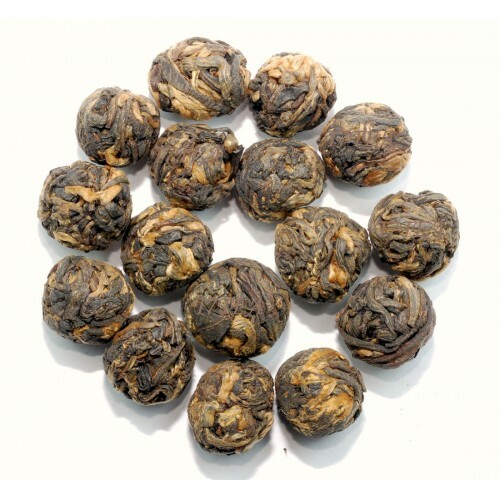 1 all time best seller tea. 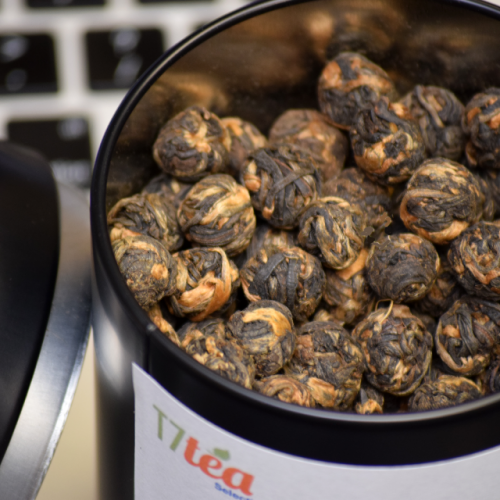 Excellent morning tea to wake up with. 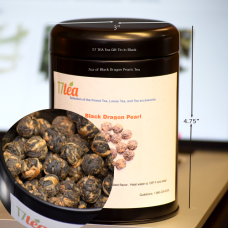 The pearls shape is made this tea unique. This pearls shape also create a convenient way of tea steeping, simply drop 3 to 5 pearls of Black Dragon Pearls into your favorite loose tea steeper such as IngenuiTEA 16oz and steep 3-5 minutes, when it is ready simply atop on any size tea cup then serve. When steep, the leave will unfurled slowly into full leaves. 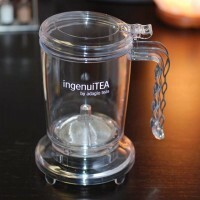 It is good by itself or drink it with milk and sugar. 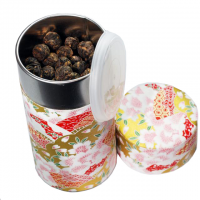 When drink it alone, the natural sweetness of the tea is light but quite noticeable. 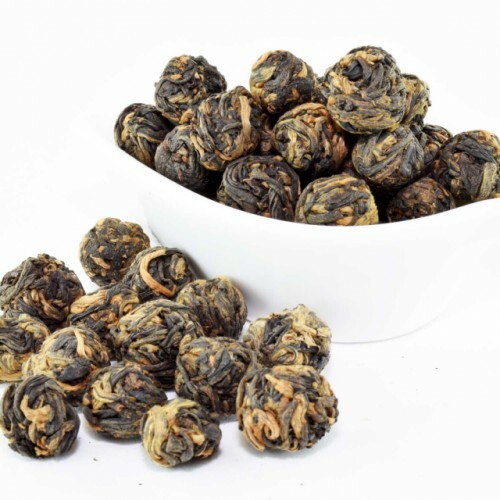 The overall taste of this tea is quite smooth and not that bitter if oversteeped by comparison with others morning tea such as Irish Breakfast Tea. 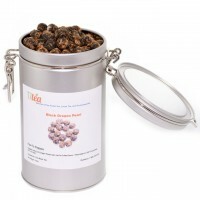 Black Dragon Pearls Tea Sampler 1oz Black Dragon Pearls Tea with mini tea canister for $8.00. ..